How to Become A Certified Translator: How Many People Earn Translation Certificates? How Many People Earn Translation Certificates? Getting an accurate count of how many people earn translation certificates would be nearly impossible. Since there is no industry standard certification, there is no single organization with accurate numbers. As such, to collect such data would require polling each and every certifying organization in the world. Given that so many employers like the US Department of State, the United Nations, NATO, and even UK governmental agencies require different exams, testing, or pass of their own certification process, even this might not be an accurate count. 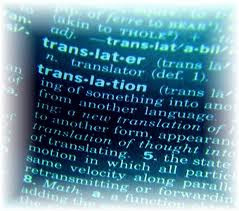 However, there are ways to estimate the number of translators who have earned certain types of certification. For example, the Bureau of Labor Statistics (BLS) reported that in 2008 there were over 50,000 employed translators in the United States. In that report, the BLS stated that most translators are required to have formal education or certification, as well as prior work experience to qualify for most translation positions. These translators are individuals who work for government agencies, private organizations, or international companies as their full or part time job. This does not account for the thousands of freelance or project-based translators in the United States. Nor does it account for other countries. However, it is a fair indicator, especially given the BLS prediction that the field will grow faster than expected over the coming years. Naturally, not all jobs require certification, so guesstimating the number of people who earn translation certificates based on the number of currently employed translators is sketchy, at best. However, if inquiring about the number of translators who become certified relates to a person considering this career field or the option of becoming certified, the projected growth rate is useful. Since most jobs require training or certification as well as experience, and the industry is expected to grow in the coming years, then taking training courses or becoming certified is a smart option. If knowing how many people earn translation certificates is important for other reasons, then extensive research is required. A person could spend a great deal of time collecting data from national or international professional translation organizations in regards to certifications. Even those figures would not be accurate, since certification programs are offered by colleges, universities, adult education programs, and third party training organizations, as well as professional organizations. As such, any attempt to collect accurate certified professional translator counts would be only an estimated figure based on limited research. Tags: How Many People Earn Translation Certificates? Translation Certificate, Certificate in Translation, Online Translation Certification, Certified Translator, Certified Translation Professional.